Koons, Jeff and Norman Rosenthal. Jeff Koons: Entretiens avec Norman Rosenthal. Hove, England: Thames & Hudson, 2014, p. 196 [French Edition]. Koons, Jeff and Norman Rosenthal. Jeff Koons: Conversations with Norman Rosenthal. China: Thames & Hudson, 2014, p. 196 [English Edition]. Gagosian Gallery. 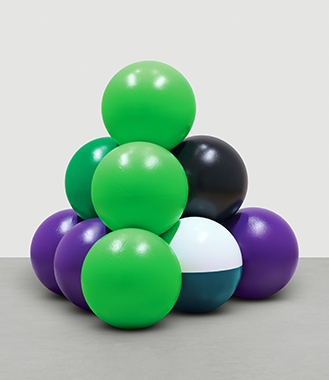 Jeff Koons: New Paintings & Sculpture. Exh. cat., Uckfield, England: Gagosian, 2014, pp. 60-61, 62, 66, 95. Jeff Koons at Almine Rech Gallery. Exh. cat., Belgium: Almine Rech Gallery, 2013, pp. 29-30, 32. Haden-Guest, Anthony. “Figures in the Landscape Better Figures Too!” The Art Economist July 2009, p. 17 (installation view, Art Basel Miami, Miami, 2010).